On Wednesday 7th December, Pebble team announced that they are shutting down their company. People interested in hardware start-ups have been curious about the future of this company since the beginning of 2016. In March, Pebble made 40 people redundant. It is worth noticing that one of the developers said that people weren’t fired because of lack of good work. Then the rumors about acquiring Pebble by other companies appeared. People in the industry knew that something not good is going on inside Pebble. On the other hand, the company had a campaign running on Kickstarter. It was a huge campaign which met its goal and got more than 900% of needed money. A lot of people around the world would like to achieve such a success. This made all the observers even more curious about Pebble’s situation. So news about the end of Pebble hit us like a ton of bricks. Every time, when a hardware start-up which we have been following says that they quit, we look at it with some kind of anxiety. Did they do wrong? Is it a common situation or an exception? The only way to find out is to take a closer look at cases of other hardware companies which succeed and then something went wrong. Cooler as a center of entertainment during your picnic? Founders of Coolest Cooler — a smart cooler with Bluetooth speaker, phone holder, beach tires and some other features tried to make it happen. This portable cooler’s campaign was launched on Kickstarter in 2013 and failed. In 2014 the second campaign started ($50,000 goal) and it raised more than $13 million and broke Kickstarter’s funding record. The raising went well, but shipping was going harder. In August 2015 the team behind the project said that shipping a cooler is more difficult than mailing a letter which seemed to be the explanation for the delay. But they promised to ship all of them by the November 2015. Then the cooler appeared on Amazon. The price was $400, over $200 more than people invested on Kickstarter. The promised November deadline came and went. On April 12 an update titled “The Path Forward” appeared which explained to customers that if they want to get their product within the next three months, they’d have to shell out extra $97. Ryan Grepper (CEO) said that the asking price wasn’t enough, so the backers who don’t want to pay extra $97 will need to wait until profits from Amazon cover their shipping. That’s why the deadline becomes indefinite. What is worth noticing, is that after two years only 33% of backers have received their coolers. The rest was left without the product they were promised and the company still operates. So it is possible that coolers would be shipped, but customers would get their product after nearly 3 years of waiting. Have you ever thought about Augmented Reality motorbike helmet? The team which invented Skully has. In August 2014 they launched a campaign on Indiegogo ($250,000 flexible goal). After two months they had nearly $2.5 million via funding and an additional $11 million from investors. That was huge! 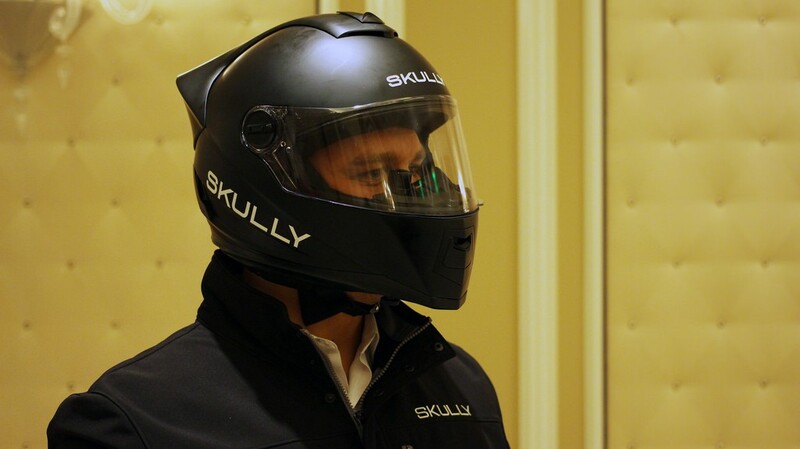 But the biggest shock is the fact that today Skully is a bankrupt and more than 3,000 people who pre-ordered helmets may never get them. Rumors say that even getting a refund may be close to impossible. So where did the raised money go? pay rent and security deposits to new apartments, weekly cleanings, grocery bills, all restaurant meals, but also personal tech including iPads, iPhones, TVs, watches, and GoPros. (source: bgr). They also purchased an Audi R8, two Dodge Vipers (one of them was involved in a crash and needed replacement), four new motorcycles, and $13,000 trips to Vegas. The brothers also paid for trips to Florida, last-minute first-class tickets to Hawaii, strip joints and limo rides. They also paid $80,000 in cash to an unnamed co-founder, money that was hidden as expenses for a trip to China. All in all, the Weller brothers denied the claims of the lawsuit, which accuses them for fraudulently using Skully’s corporate funds for personal use. Back to recent events about Pebble, it is too early to easily find out what went wrong, but even though this situation seems to be complicated too. Last week Eric Migicovsky (CEO) wrote in his post, that:Warranty support is no longer available for Pebble watches. Is it fair for the customers? Obviously, it’s not. What is more, this kind of service breaks Consumer’s Security Policy. So what would Pebble do about refunds, which people who backed their last campaign, should get? What’s the point of starting the crowdfunding campaign when meeting over 900% of your goal doesn’t save your company? The answer is clear it is no point at all. So we can only wonder about other aims of Pebble’s management. Finally, this whole situation in crowdfunding, which we have been observing for the last years changes the way people perceive crowdfunding and the industry of innovative hardware companies and start-ups. Now we not only have to face the toughness of developing our own hardware start-up, but also fight for the trust of people who back products via crowdfunding portals. Why are hardware companies failing? Is it the future of hardware start-ups? No, it’s not. The problem here is badly estimated production costs. Founders of the company incorrectly calculate future costs of every part for preparation of their products. Most important is to be realistic about the overall. The management team should be aware of the whole process. This will help to honestly deliver the product to the customer. This is crucial because the main point is that everything is made thanks to the money from customers and companies, who trusted start-ups, because they wanted to participate in creating innovative products, even if they would have to wait for shipping. Join our Hardware group and support polish community!